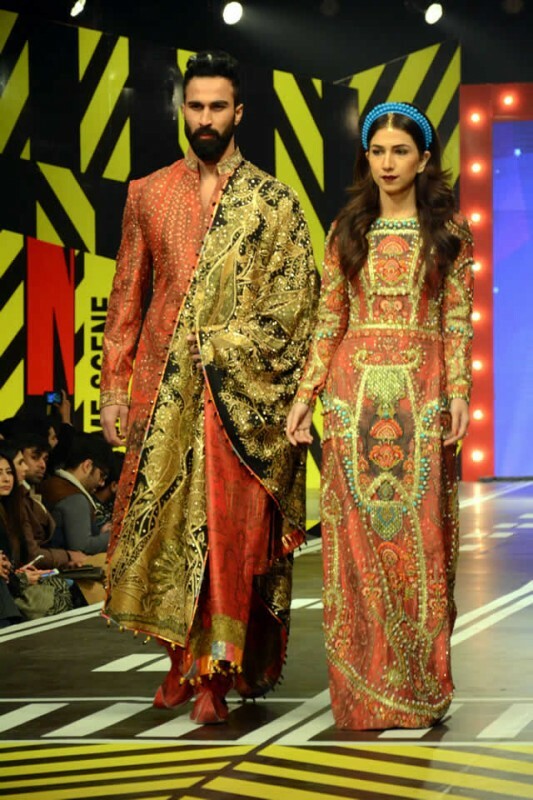 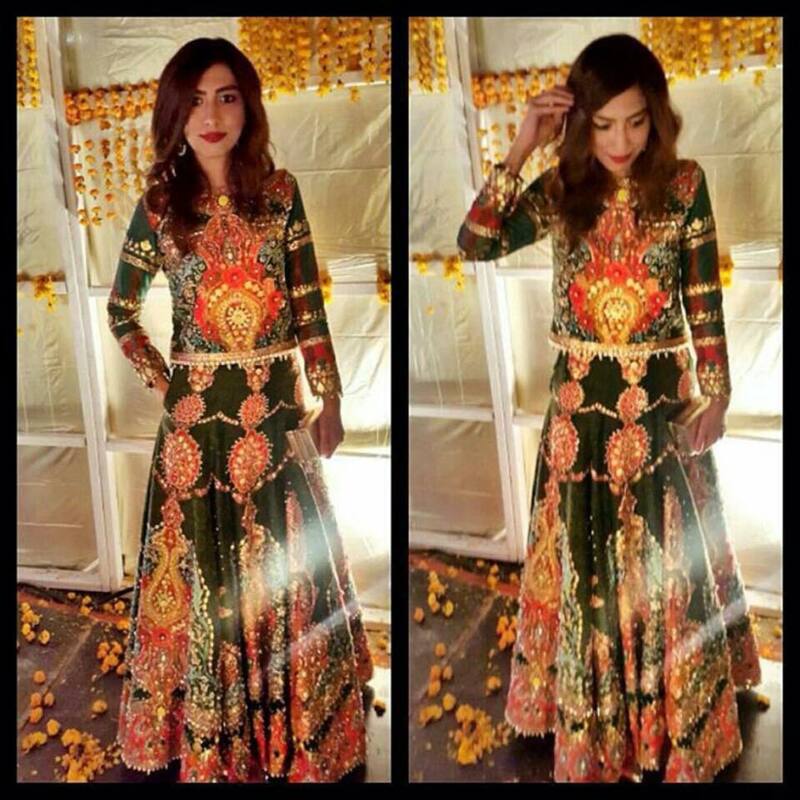 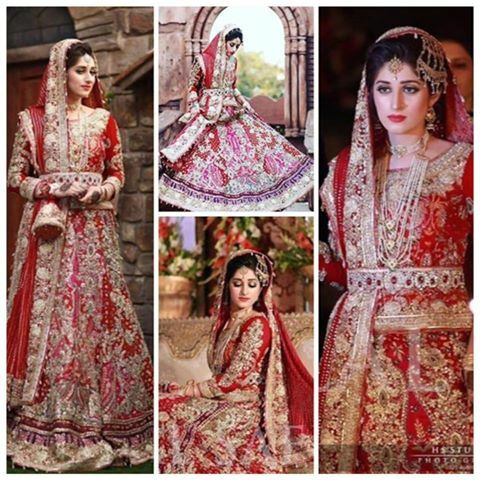 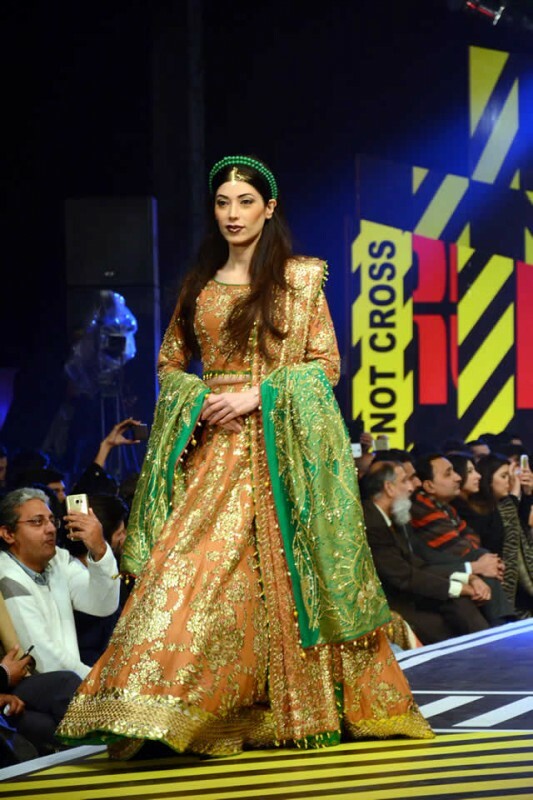 Pakistan is the country blessed with few of the top notch fashion designers in the world. Thinking out of the box and their supreme sense of creativity makes them stand out on the pedestal of success. 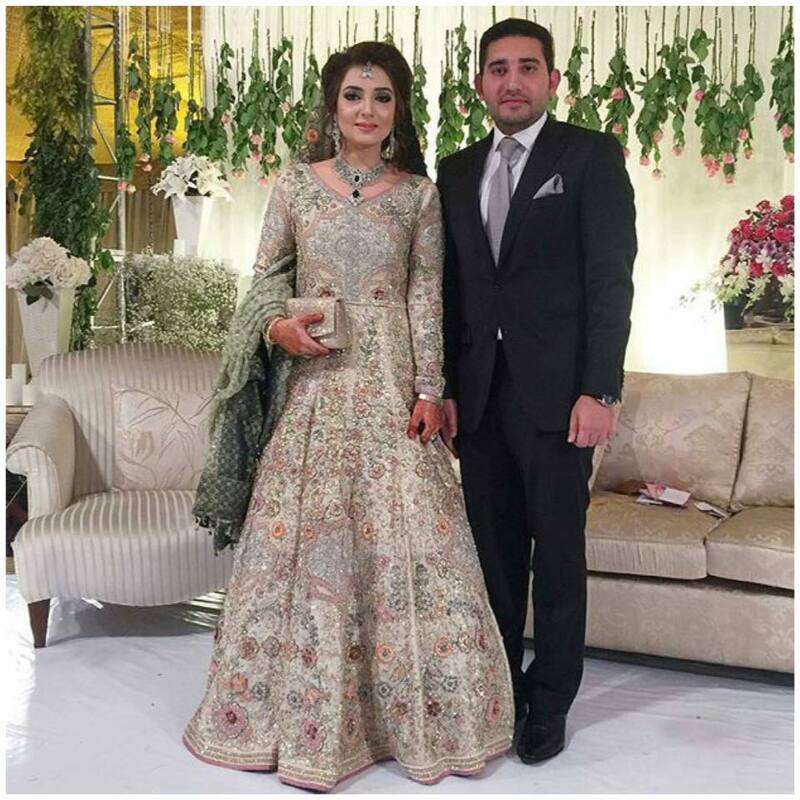 Ali Xeeshan is among one of those cream designers in Pakistan who have taken the charms of Eastern attires to the whole new level. 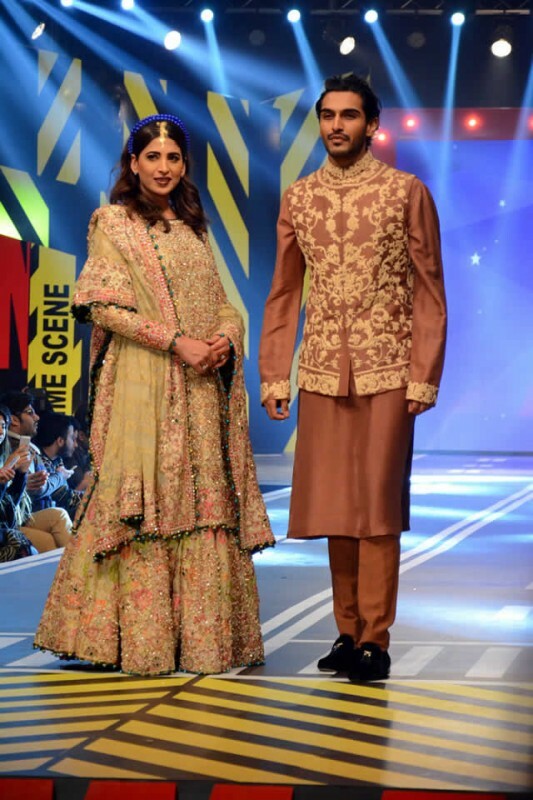 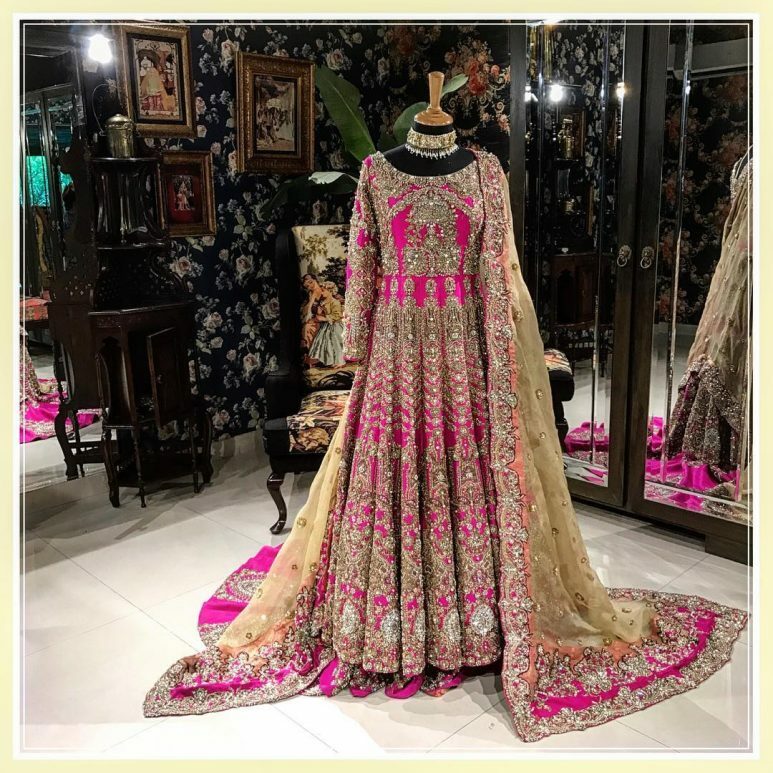 He has unveiled the new and vibrant series of wardrobe for the Pakistani women especially the range of bridal dresses. 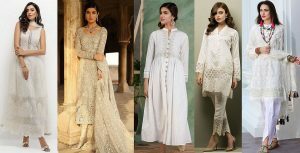 Every year he launches this wide range of wedding collection for every season with the entirely unique theme and styles. 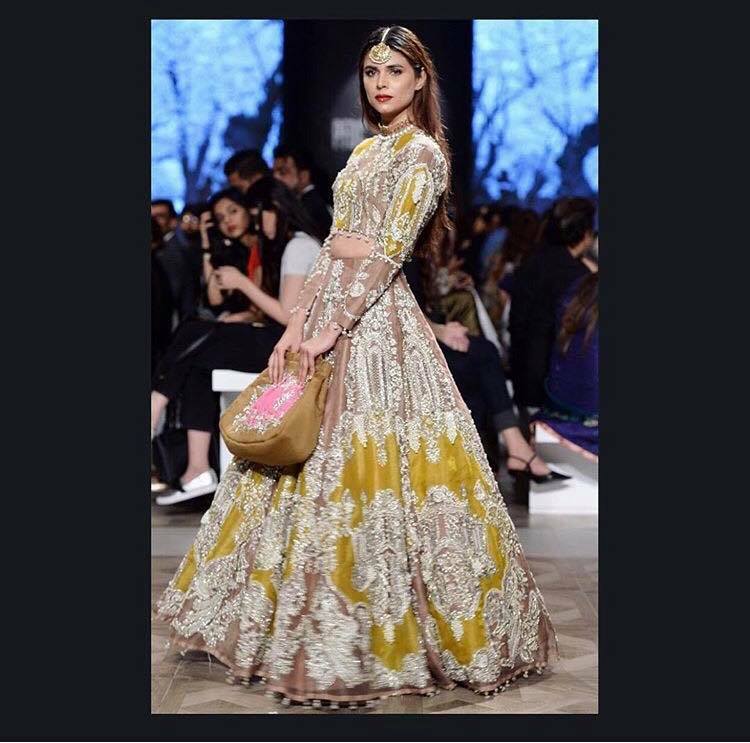 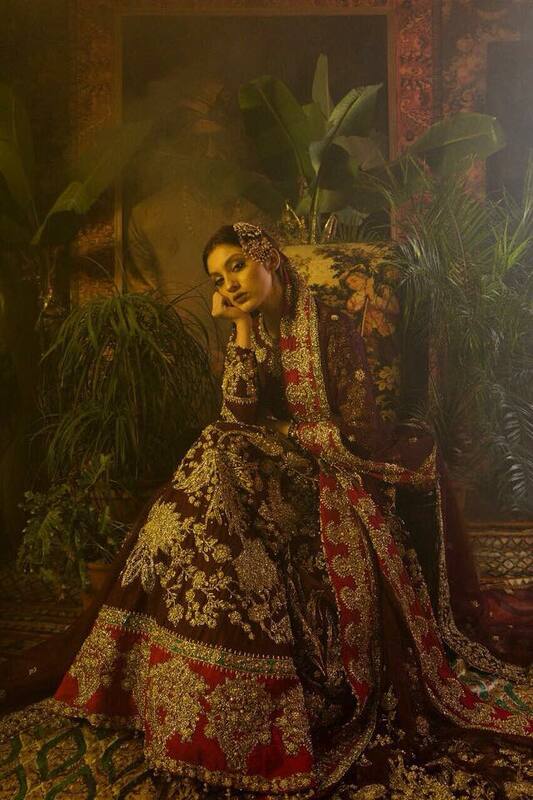 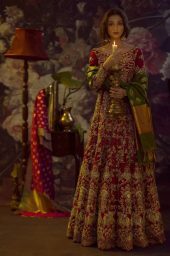 Like the last year has churned out his fascinating bridal collection called “tufaan” which had the most amazing set of palette filled with hues depicting the storm and the dusty skies. Today we will share Ali Xeeshan Latest Bridal Dresses Latest Wedding Collection 2018-2019. 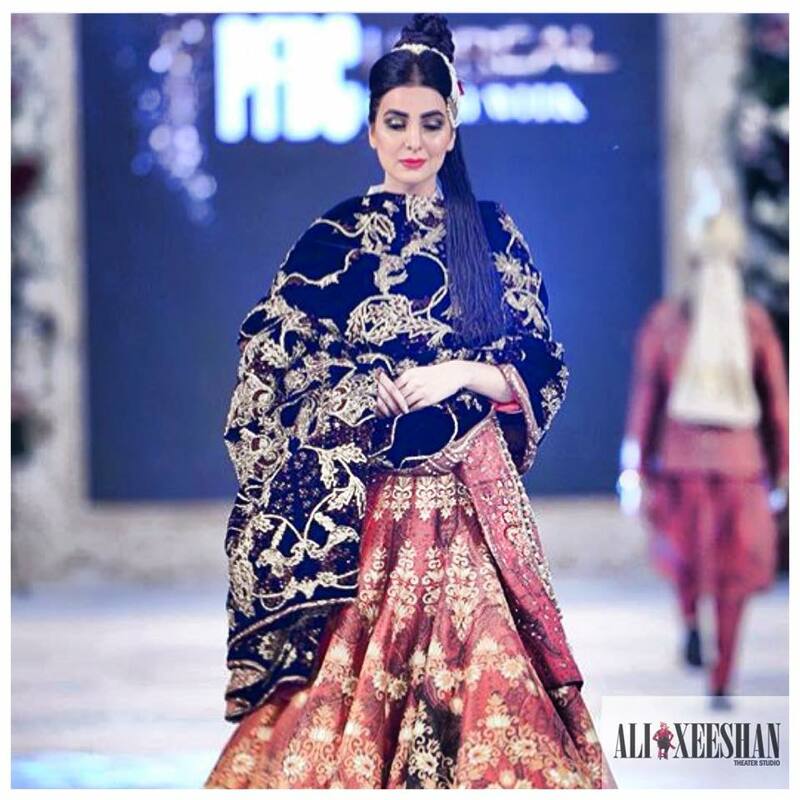 One of the most prominent features of the Ali Xeeshan bridal collections is that he inspires people with his selection of themes reflecting the beauty of nature. 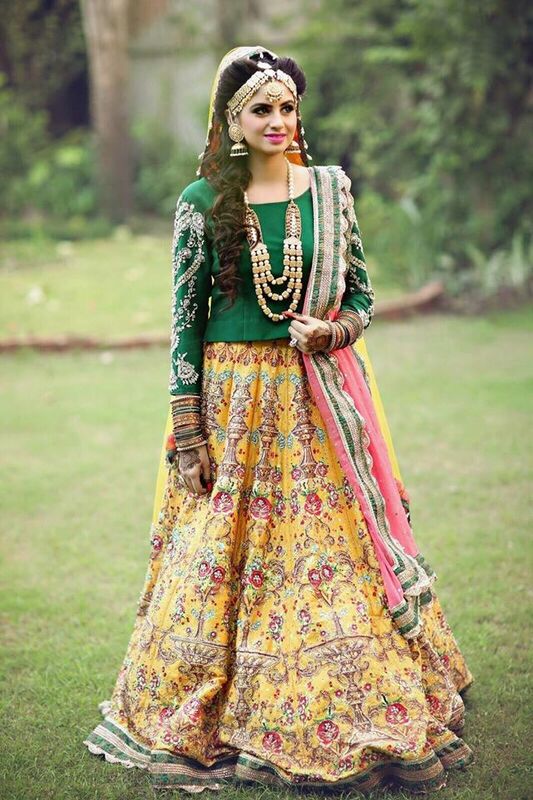 He takes nature as an inspiration and then brings out a variety of dresses with vibrant colours. 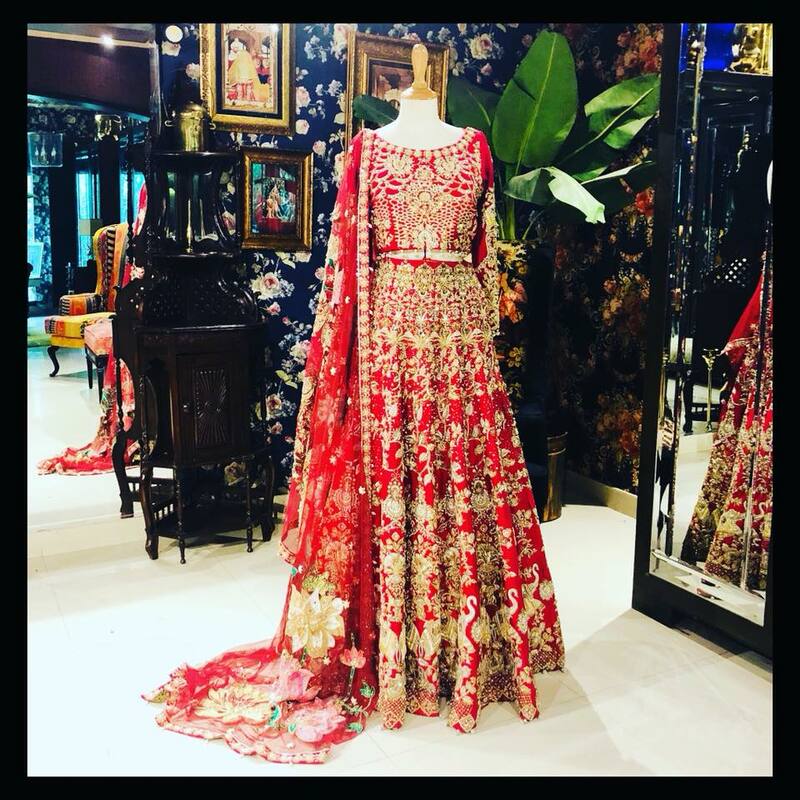 So this year’s Ali Xeeshan latest Bridal collection 2018 is going to excite you even more. 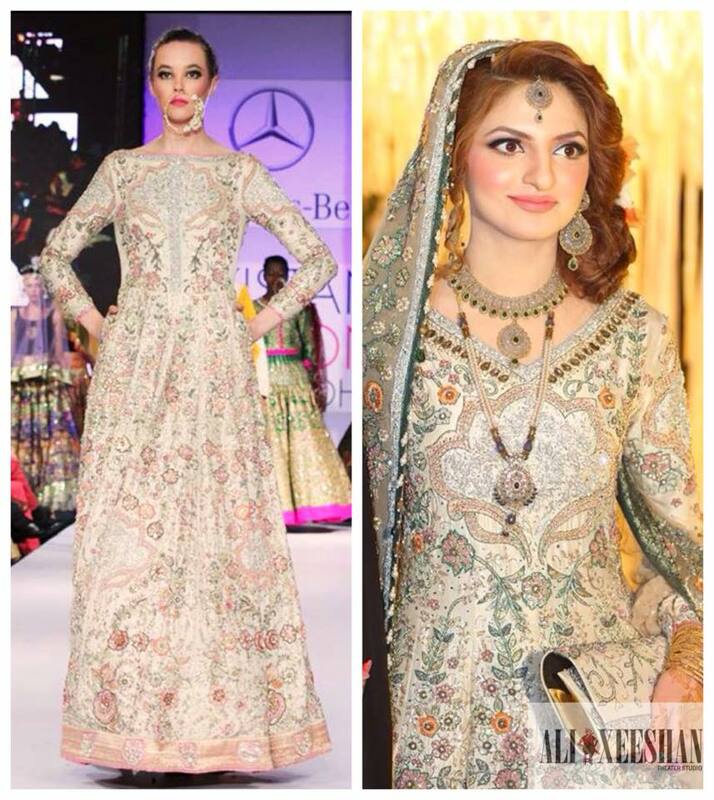 Ramping up the stage various model donned into the exclusive bridal collection by Ali Xeeshan on 21st January in “Runaway Pakistan” held at Pearl, Continental hotel. 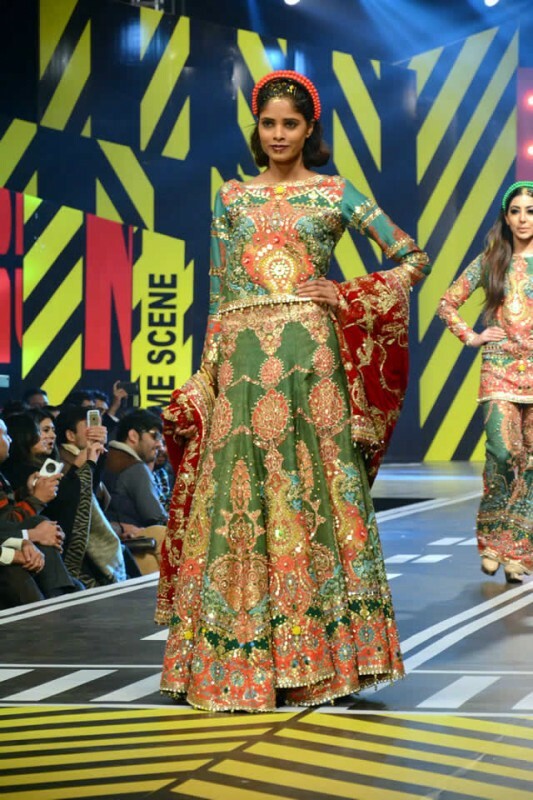 He indeed lightened up the stage with his fascinating series of bridal lehengas and Ghaghra’s. 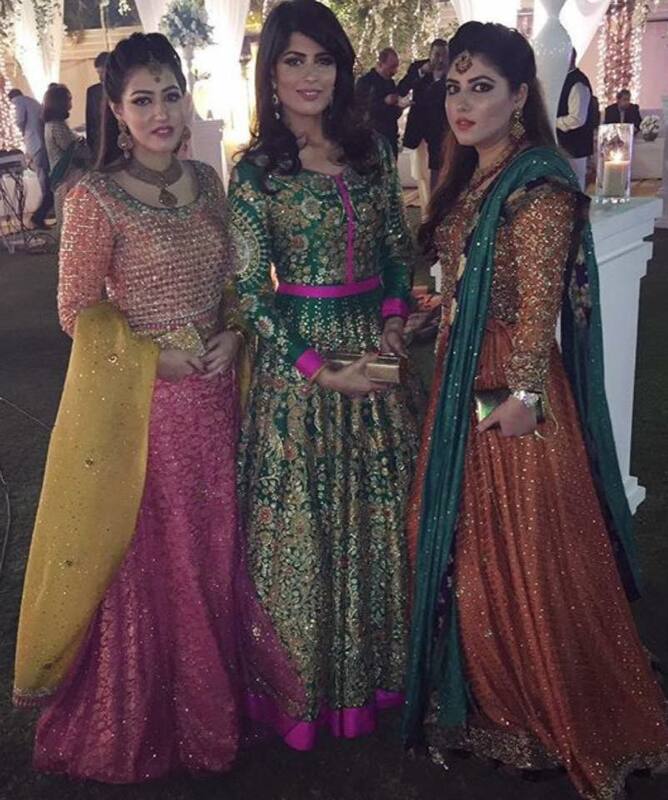 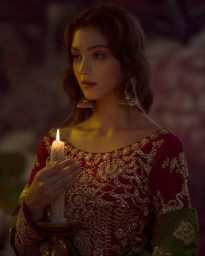 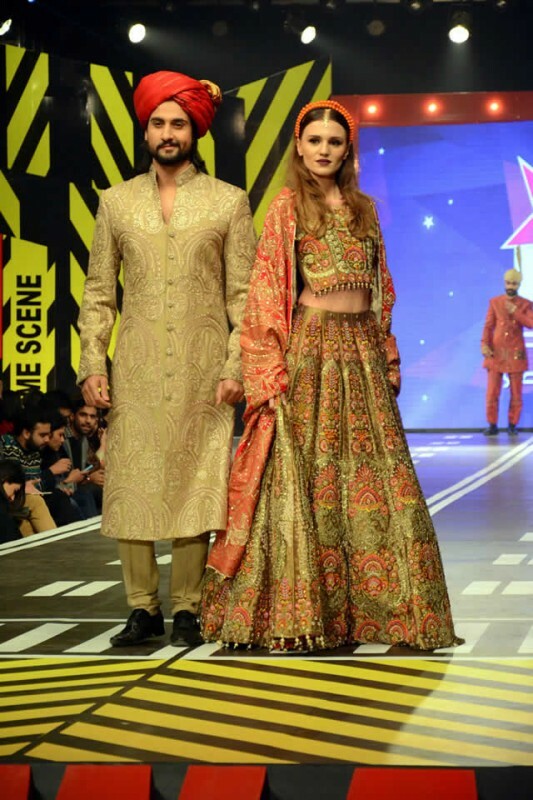 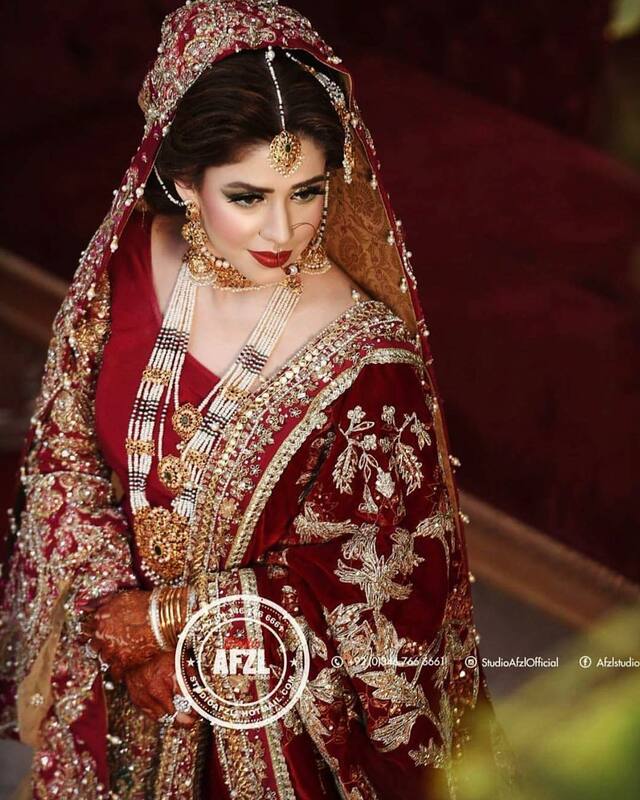 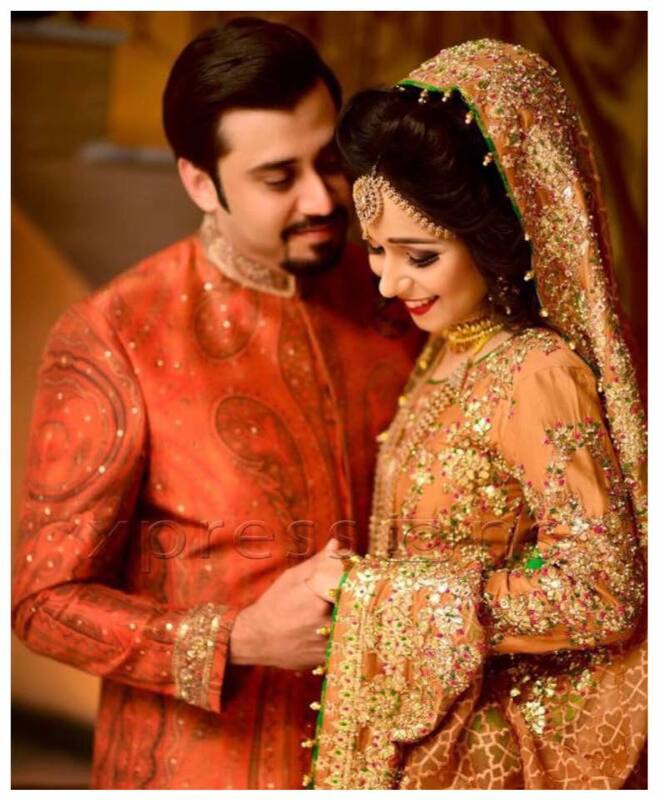 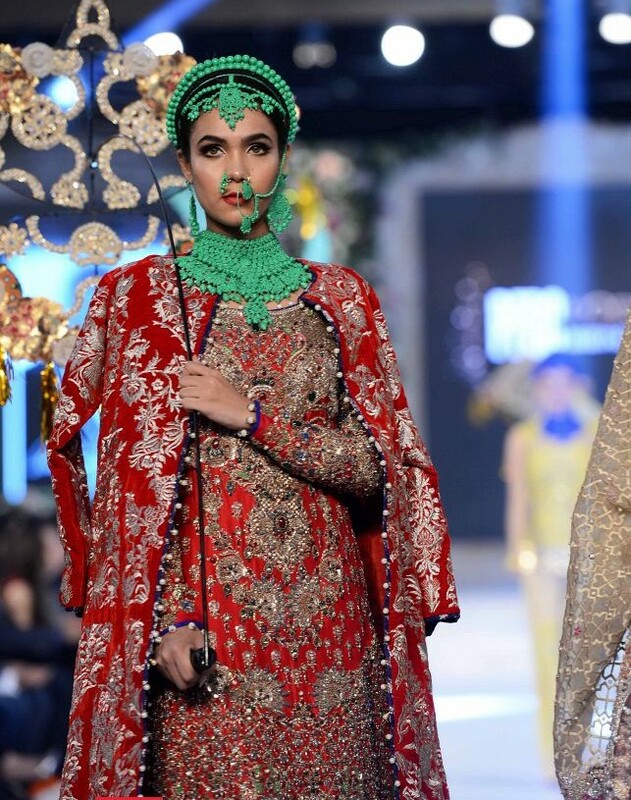 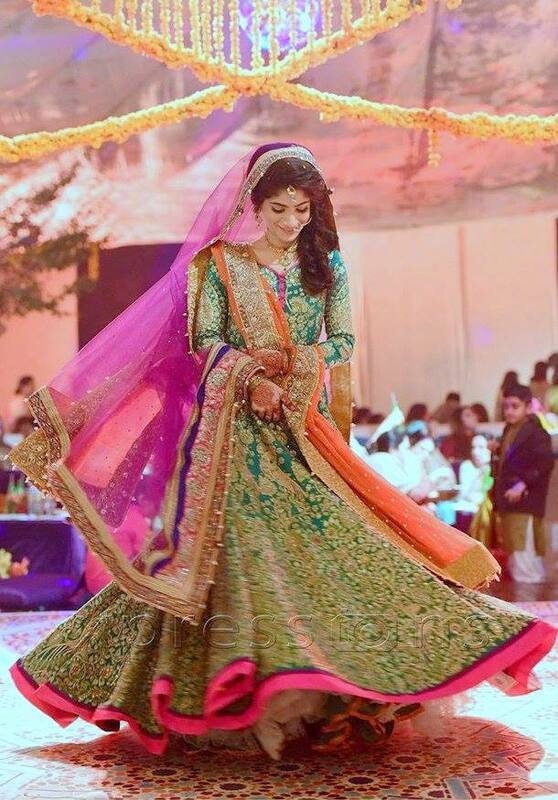 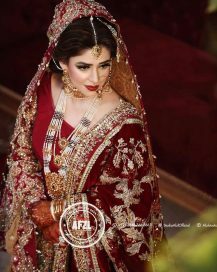 Ali Xeeshan sparked up the bridal fashion with his distinct style; he made the work of succha and pearls much more appealing in the embellishments of these dresses. 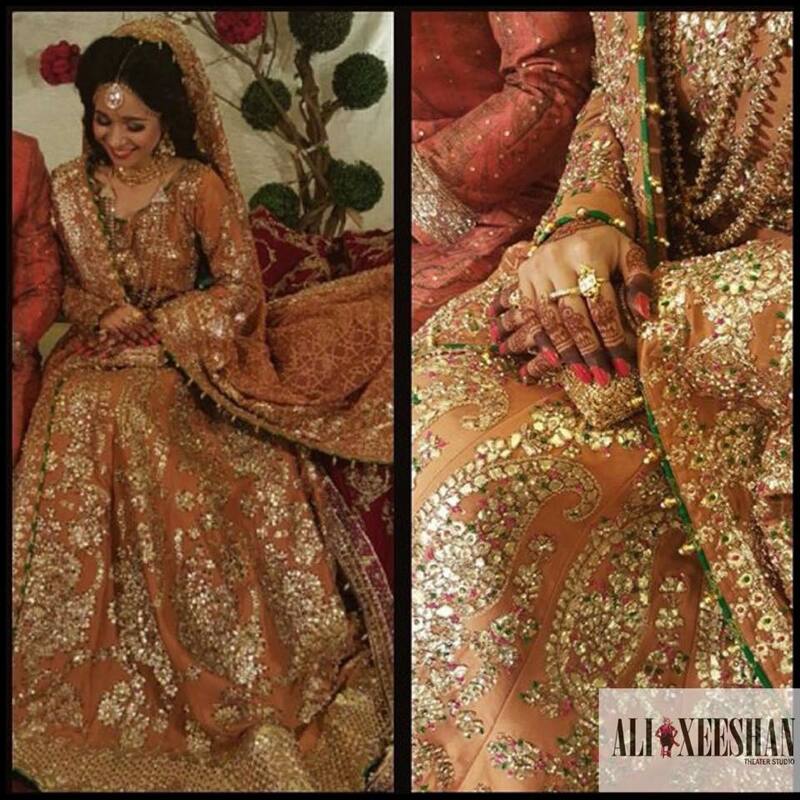 Geared up with glamor and glitz these bridal dresses are filled with a doze of gold and shimmer. The most elemental beauty fuse into these dresses is the traditional outlook they carry and the way he created a fusion of many styles into a single range. 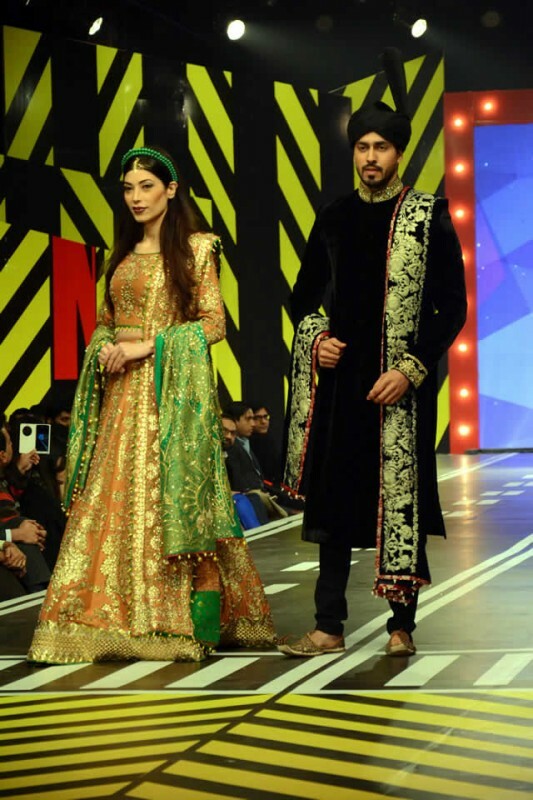 Green with rust, orange, yellow, fawn, royal gold, and beige; these are the hues responsible for making his latest bridal couture quite tempting for all the fashion lovers. 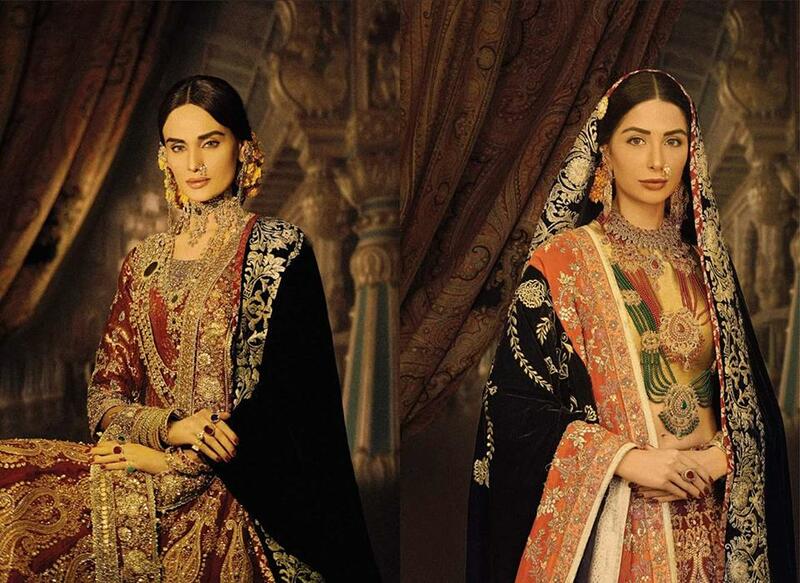 Blouses are heavily embellished with the sequences of cut works and thread works. 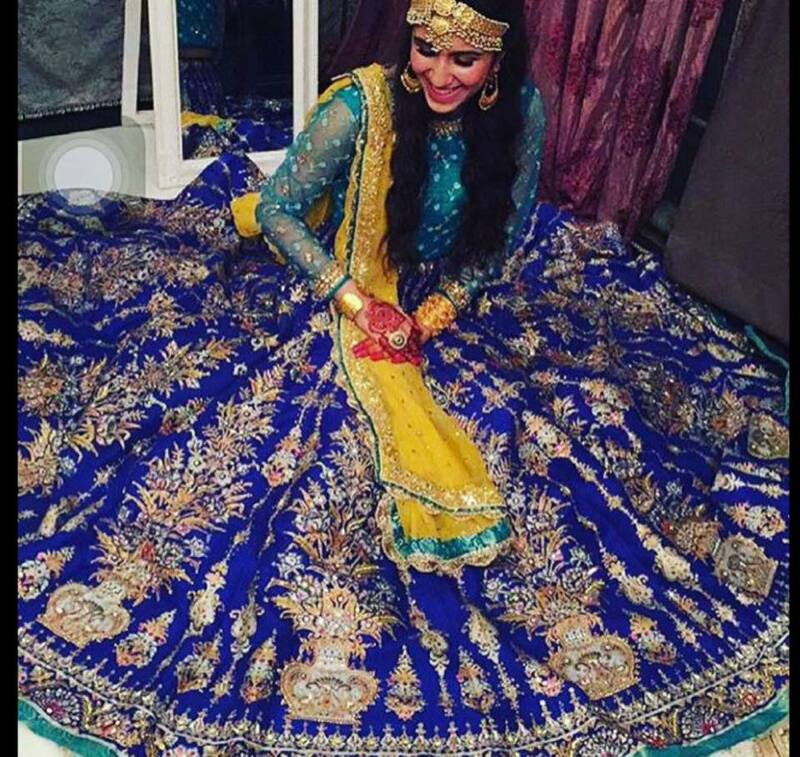 The fabric is entirely magnificent and selected to complement the work on skirts and lehengas. Colors for duppattas are contrasting to the base color of the dresses. 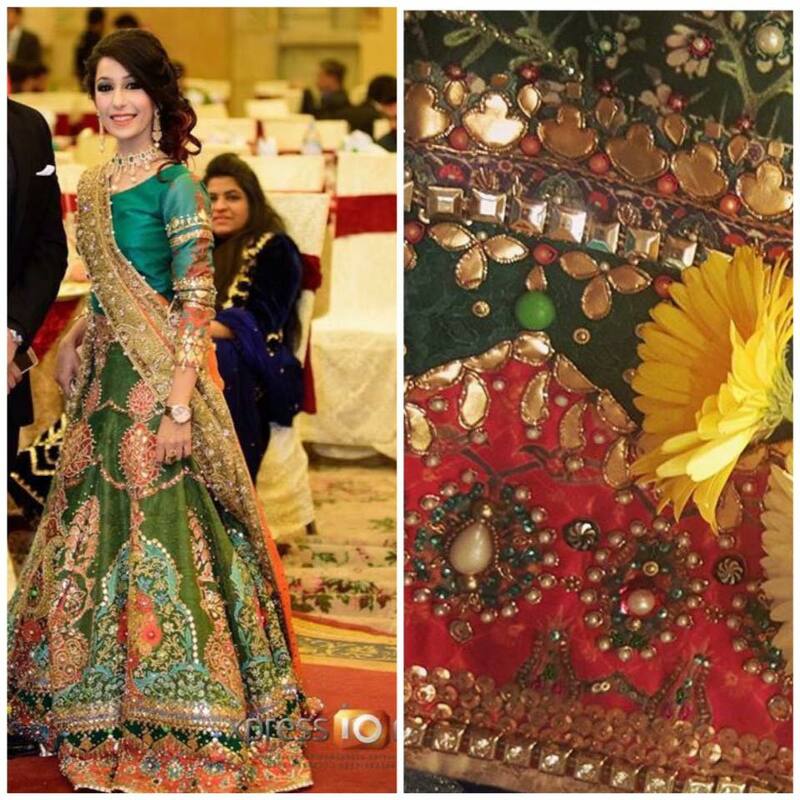 Therefore, it makes the overall combination more vibrant. The lehenga with shades of metallic rust and gold is worth discussing here as its blouse carry an intricate set of embroidery work with perfect cuts and use of tussles at the borders of the blouse, whereas the lehenga has many flares with each flare-carrying floral embroidery work. 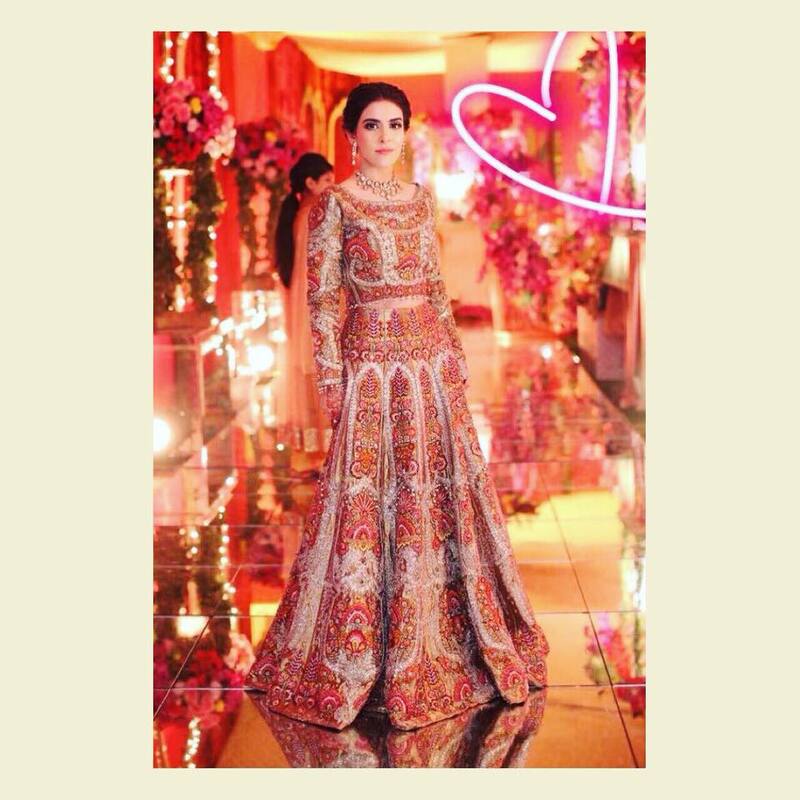 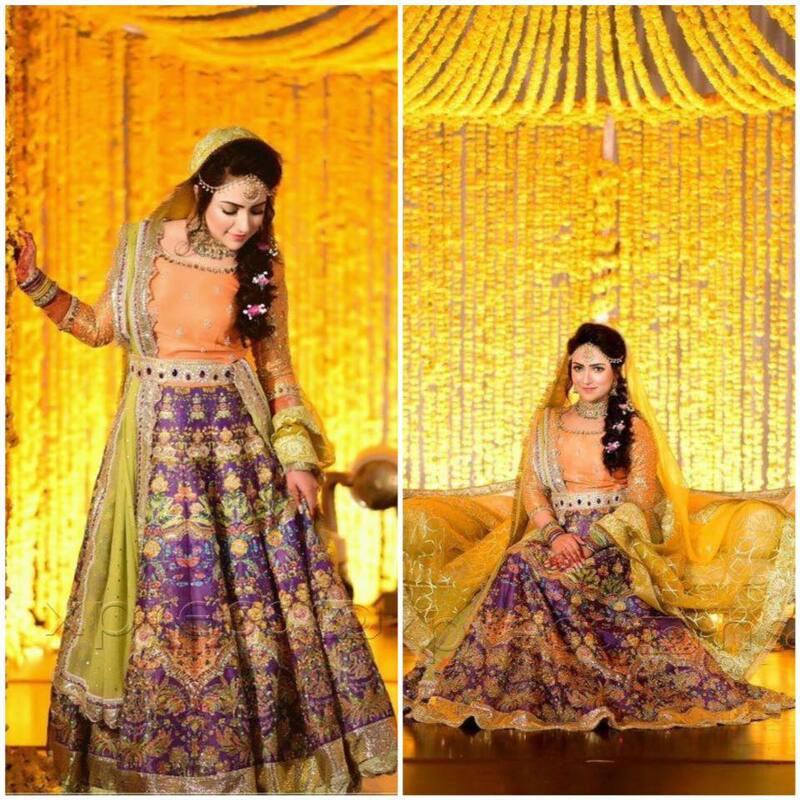 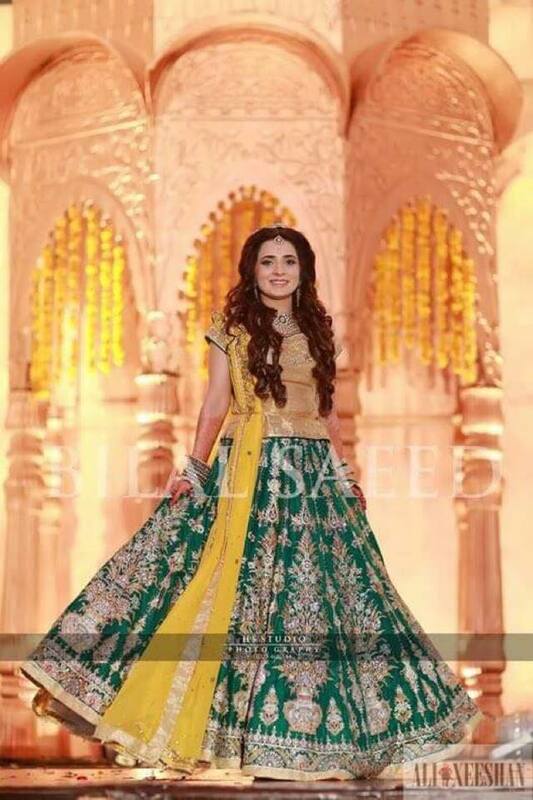 Another dress from Ali Xeeshan Latest Bridal Dresses Latest Wedding Collection that stunned the sight of the audience was the yellow skirt with the blouse carrying decent, elegant styles of embroidery over the net. 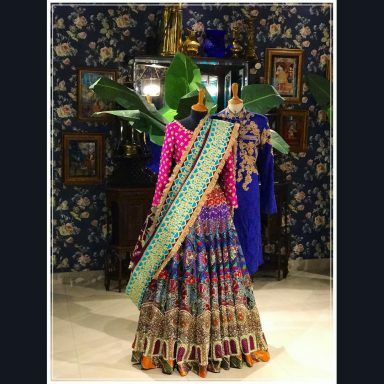 These dresses will surely remind you of the era of ancient Mughal times as the dresses giving traditional embroidery patterns. 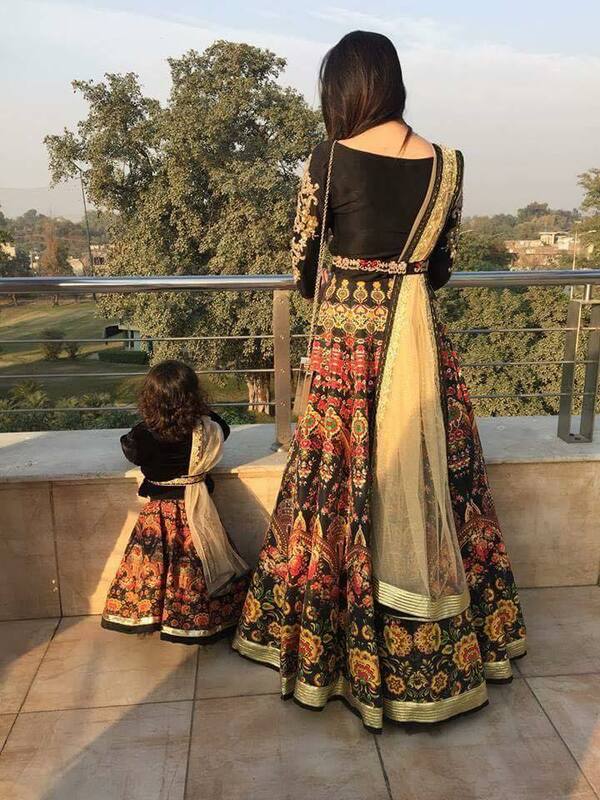 Fusion of modern style skirts and blouses with the primitive embroidery style makes these dresses unique of its kind. 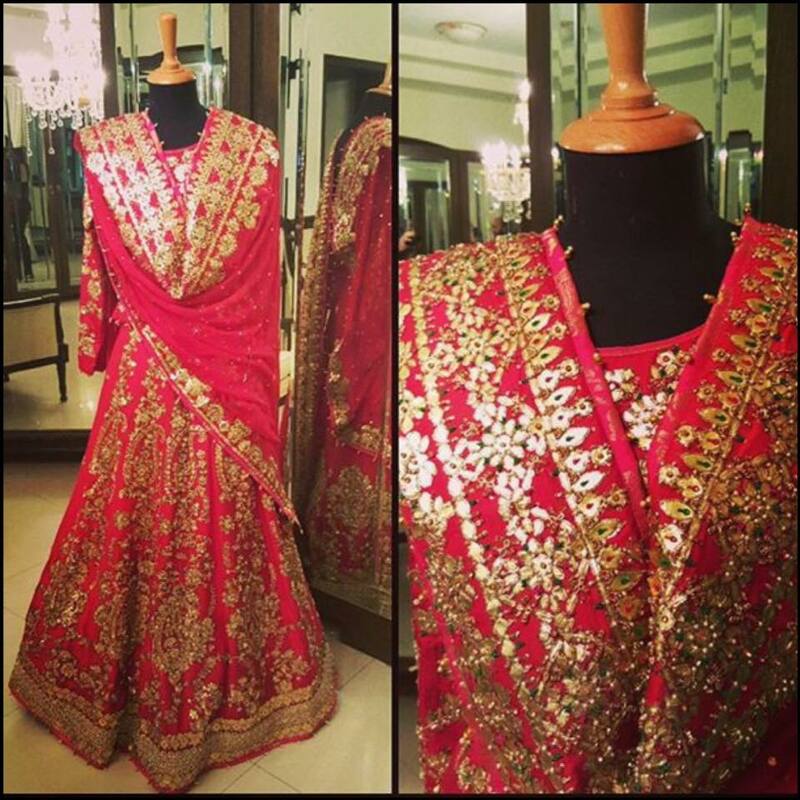 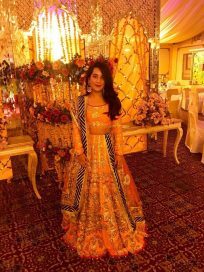 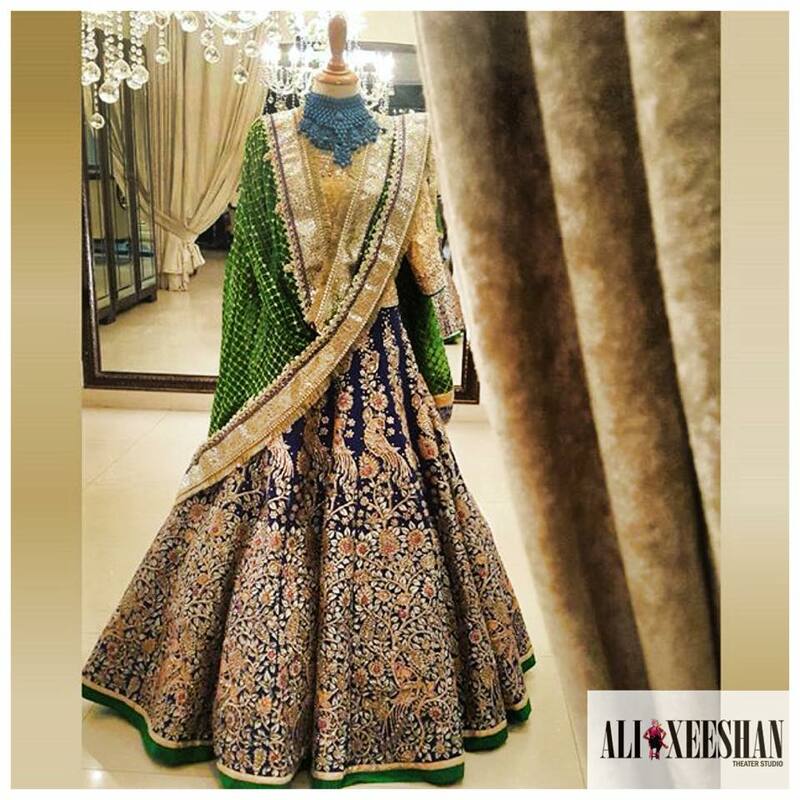 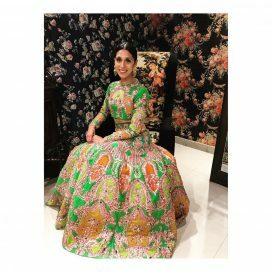 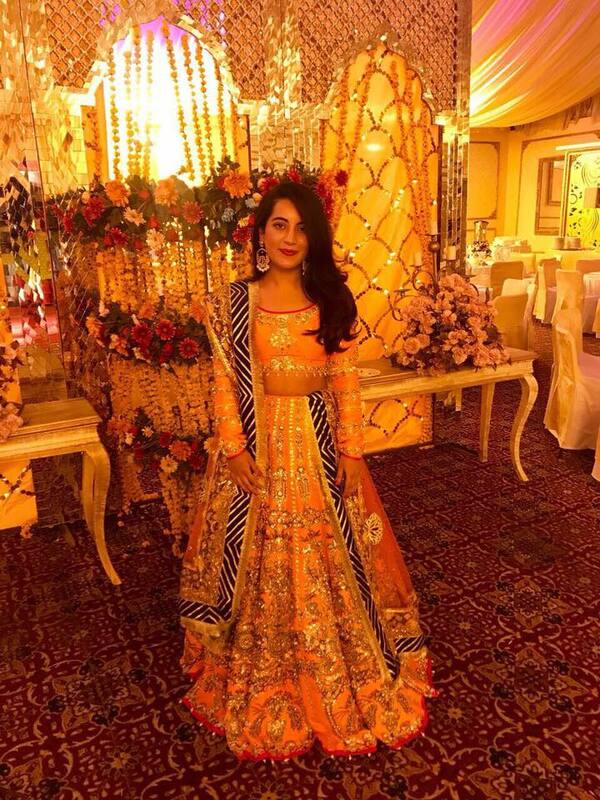 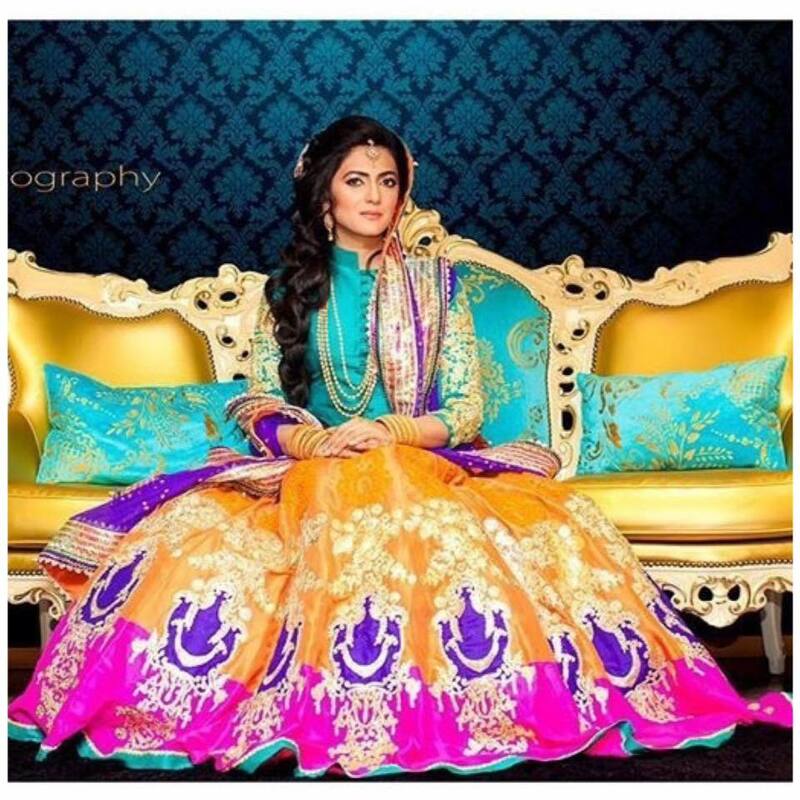 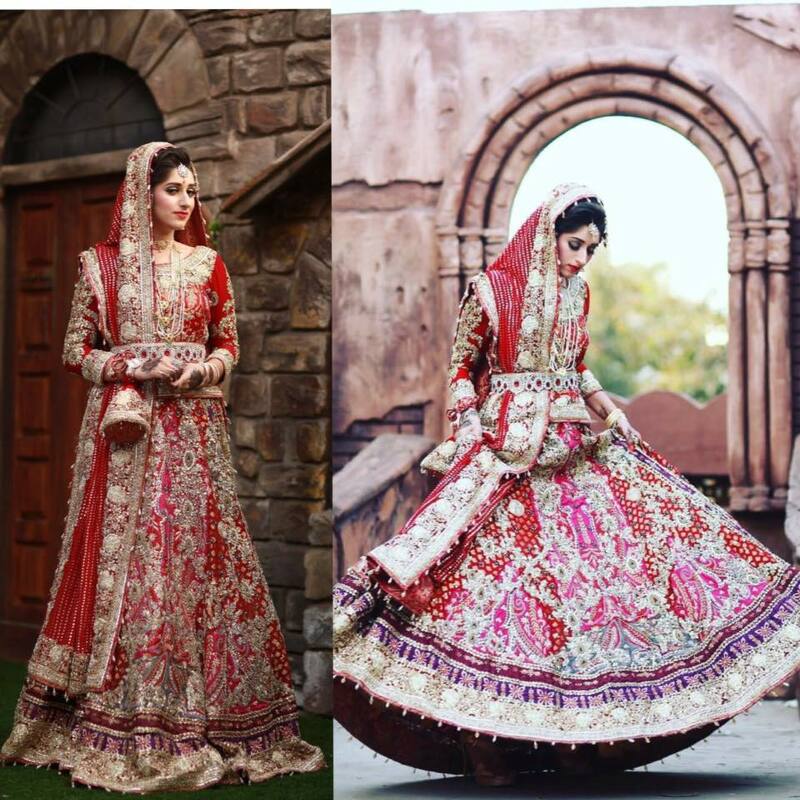 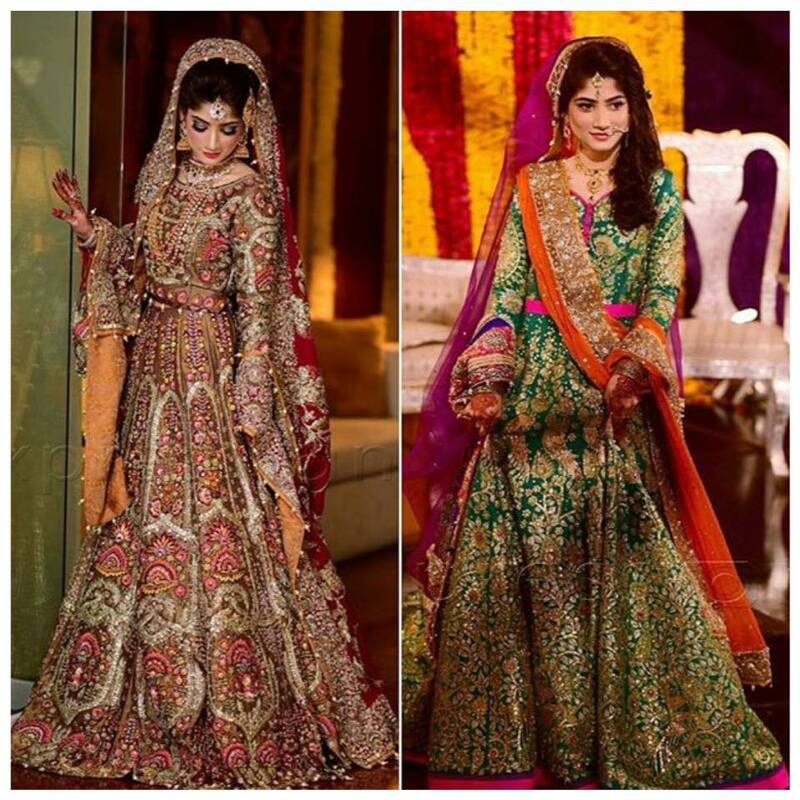 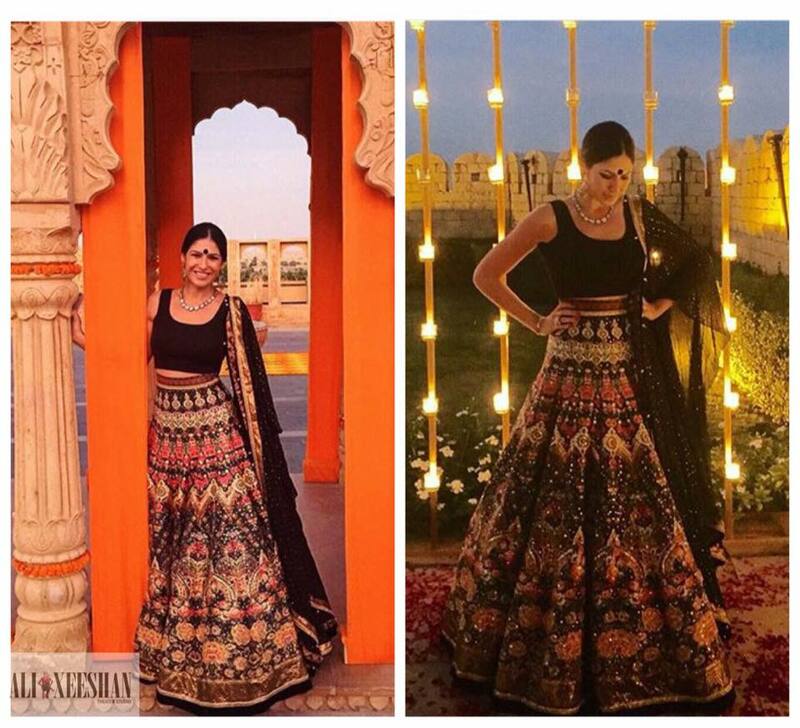 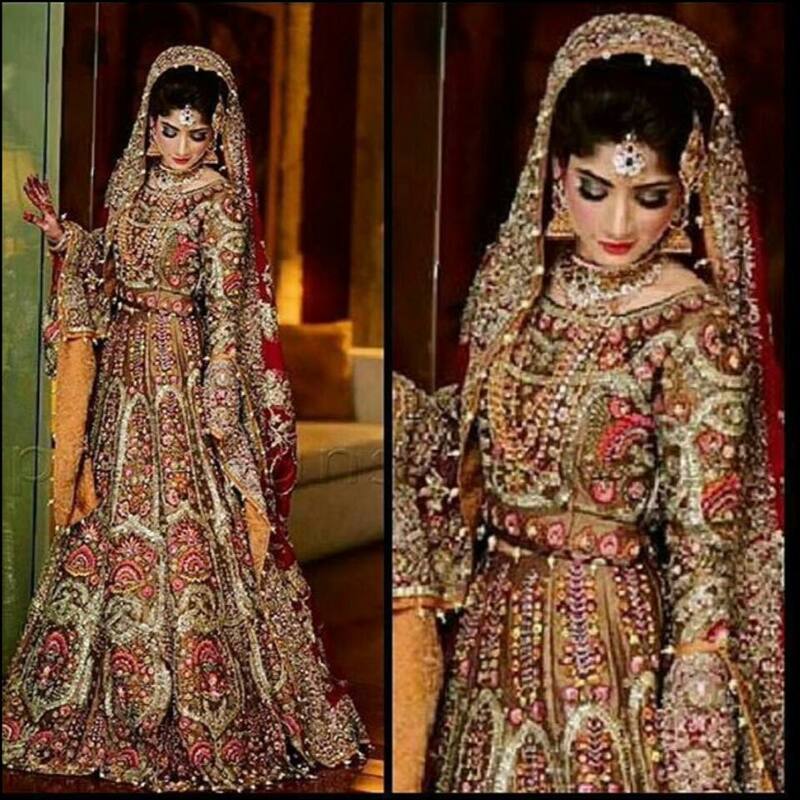 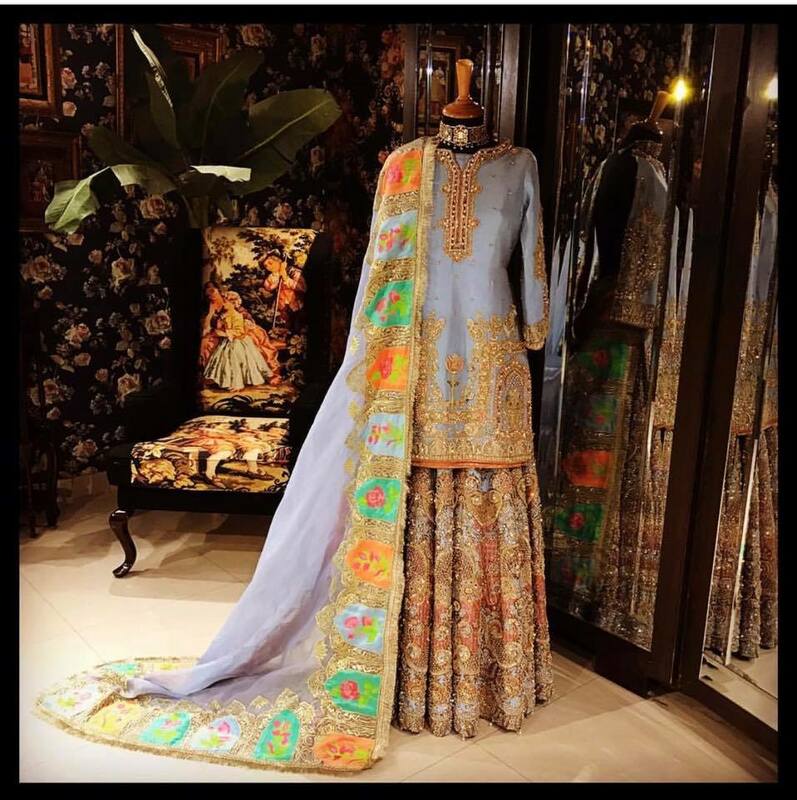 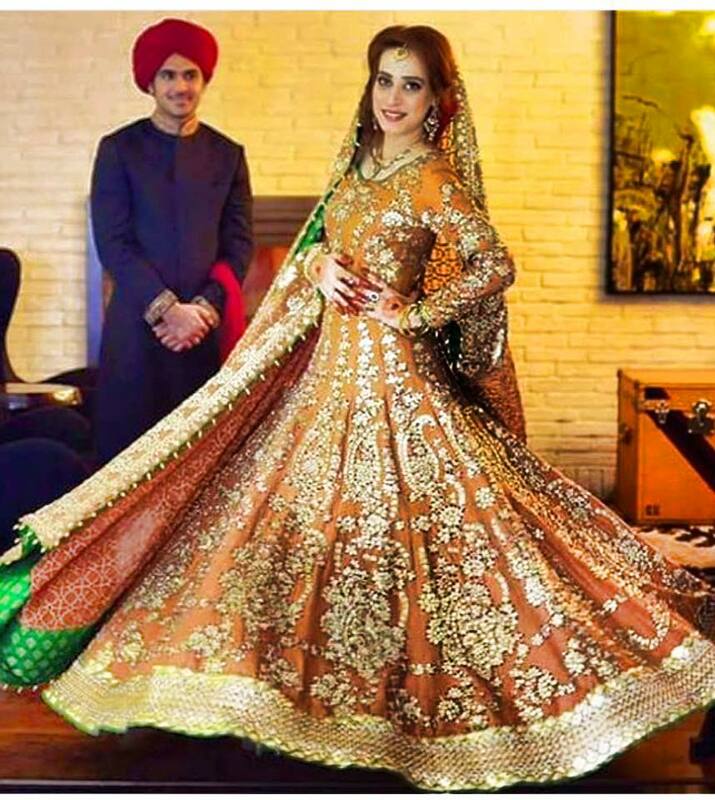 If a bride loves to wear classic royal style lehenga over her wedding day, then Ali Xeeshan has indeed created many great options for her to carry.